The first Saturday in May is always Free Comic Book Day (yes, we’ll have some free comics all day), and this year Quimby’s also celebrates by welcoming Jesse Duquette of “The Daily Don” — the popular Instagram which is now featured in a book. 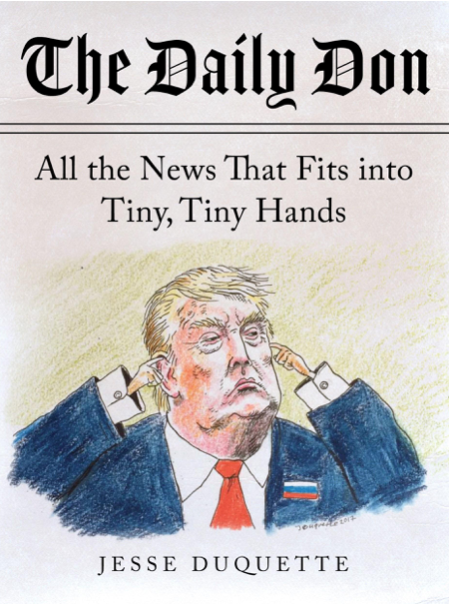 “The Daily Don: All The News That Fits Into Tiny, Tiny Hands” (Skyhorse Publishing) collects the best of the first two years of artist Jesse Duquette’s Instagram art project “The Daily Don”, a gallery of cartoons centered around the Trump administration. As soon as the lies began on Day One of Trump’s presidency about crowd sizes at his Inauguration, Duquette decided the best weapon he could employ against the coming madness was his pack of colored pencils. Thus began his semi-monastic regimen of documenting each and every day of this administration’s actions, tweets, scandals, and bizarro cast of characters through satirical cartoons, a healthier outlet for an incredulous and outraged public than, say, depressed drinking or Proud Boy provoking. Duquette’s influences range from Shel Silverstein to Pat Oliphant to Moebius, but the effect is mostly slow motion pen-and-ink waterboarding. “Anyone who doesn’t follow The Daily Don is missing the point of life in 2018 .” – Laurence Tribe, Author & Professor at Harvard Law School, real smart guy. Jesse’s work has been featured in such places as: The Globe & Mail, TruthDig, MoveOn.org, and Viceland’s “The Hunt for the Trump Tapes with Tom Arnold”. He has also been featured on the “CraftSanity” podcast and was the subject of a Snopes article (verified “True”!). Jesse has no degrees or awards to his name but his mother loves him anyways. 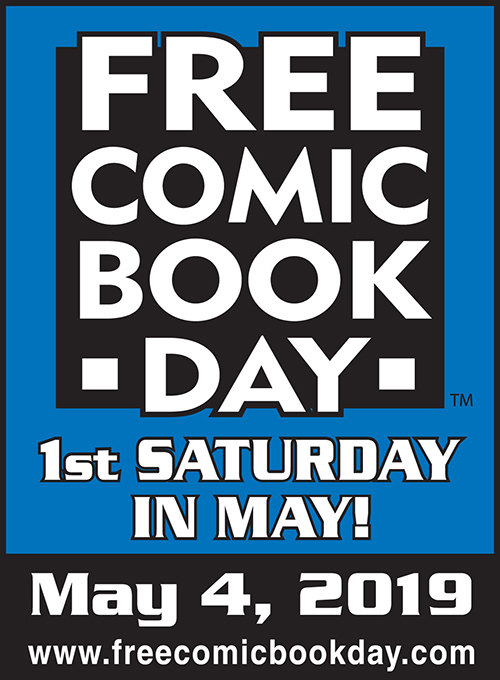 Note: Free Comic Book Day goes on all day and we’ll have some, but only as long as supplies last. The Daily Don is not a free comic. Tags: Donald Trump, FCBD, FREE COMIC BOOK DAY, Jesse Duquette, The Daily Don, Trump.